This is a Meetup for social and impact driven entrepreneurs. An inspirational talk with a change maker and leader in the field of a passion based business. Your oportunity to learn more from our expert and get to know how they made it. Your opportunity to ask our speaker about anything you want to get answered to help you ignite the genius in you and grow your confidence to follow your passion. Get to know other like-minded people, learn more about GeniusU educational plaform,build friendships and partnerships with others, have some fun. Light snacks and drinks will be available. In this special event we have the pleasure and honour of welcoming Leslie K.Saglio. London Entrepreneur Social is part of a global community of more than 1 million impact driven social entrepreneurs; we offer a great place to engage and connect with like minded people who value collaboration and problem solving at the highest level. 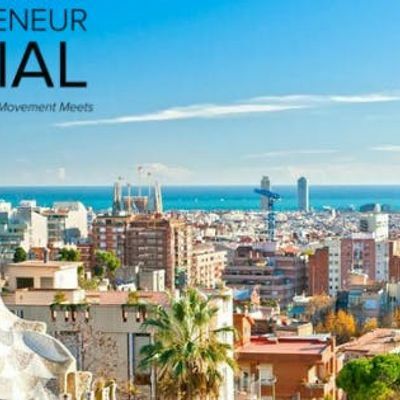 Our events are open to anyone who is interested in entrepreneurship and social impact, and would like to network in a relaxed social environment with other professionals and business owners, share challenges and success stories, and discuss strategies to grow our businesses and the impact they make in the world.